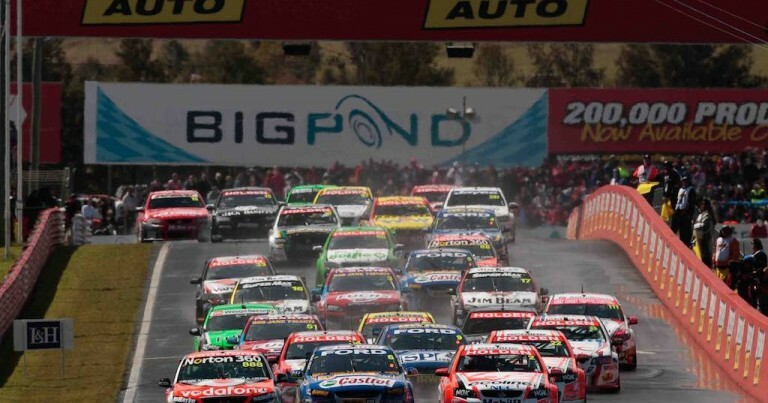 Today, Motorsport Central takes you to the heart of Bathurst, and up to Mount Panorama for the first time in 2014. We’ll start at the Transporter Parade, and chat to Jack Perkins and Cameron Waters. As we did in 2013, we’ll walk down the V8 Supercar pit-lane, and look at the 26 cars, 52 drivers that’ll contest the 2014 Great Race, and along the way, you’ll hear from Garth Tander, Warren Luff, Fabian Coulthard and Luke Youlden. V8 Utes Driver Terry Nightingale will take us on a lap of this iconic circuit in his road car, delivering his insight on some of the key components of the 6.213km layout. At the end, we deliver some facts and stats for you to take note of, as you sit back and enjoy the 2014 SuperCheap Auto 1000 on 2MCE Sport.